Taste: I just adore that bright, fresh, and sweet raspberry flavor, especially when combined with a drizzle of nutty Nutella on top! Texture: The rolls are soft, fluffy, and slightly chewy and the raspberry filling is sticky and wonderful. Ease: 1 hour from start to finish! Makes a bit of a mess but is surprisingly easy. Appearance: So beautiful. I had a blast photographing them! Pros: Gorgeous, festive, fun, and easy. Doesn’t get better than that. I’ve had so much fun creating and sharing festive Valentine’s Day recipes with you this year! 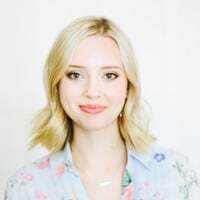 As a secret lover of anything adorable, pink, and heart-shaped, whipping up sweet treats that meet all those Valentine’s Day requirements hasn’t felt like work at all. I’ve already shared my over-the-top Valentine’s Day Cake, decadent Lava Brownies, and gourmet Chocolate Covered Strawberries. Not to mention my fabulous contributor Rachael shared her Red Velvet Molten Lava Cakes. 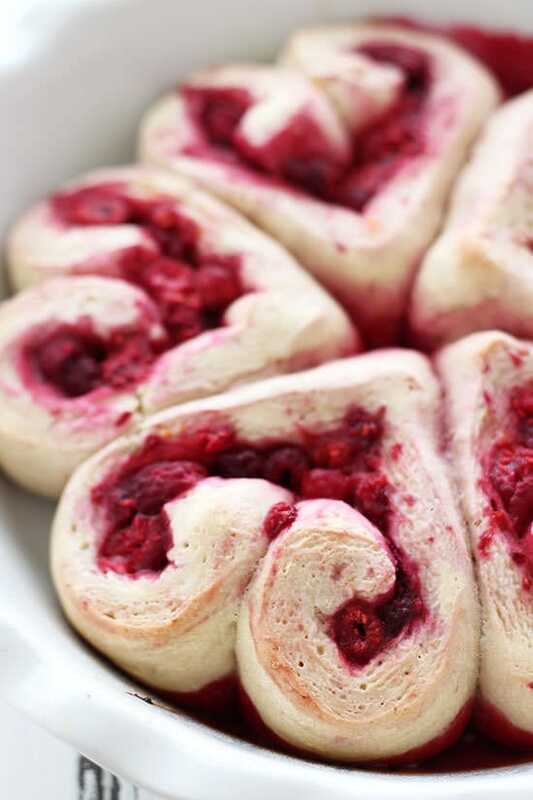 I realized that I hadn’t shared something that might be made for a special romantic breakfast so I came up with these Heart Shaped Raspberry Rolls! They’re absolutely beautiful, festive, and take just 1 hour to make from scratch. 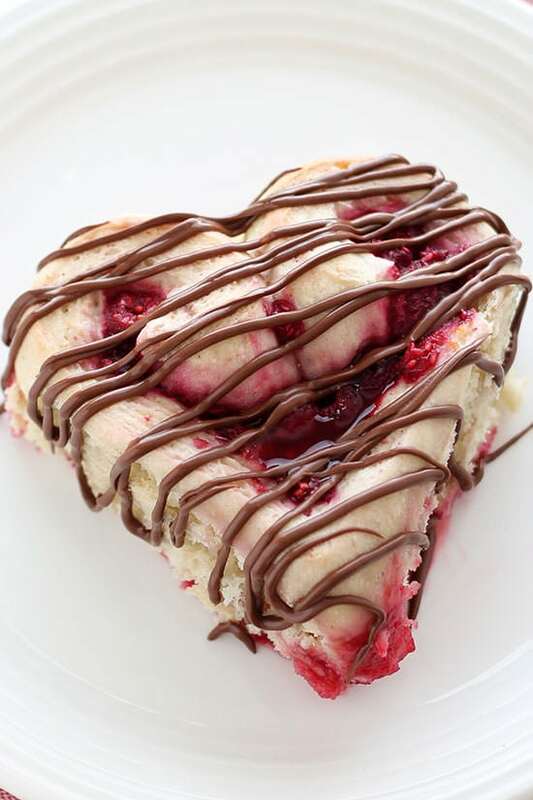 Of course, I had to drizzle a little Nutella on top to act as the icing because what’s a Valentine’s Day recipe without some chocolate? What are your plans for this Valentine’s Day? Making dinner at home or going out? Or are you celebrating S.A.D. this year? 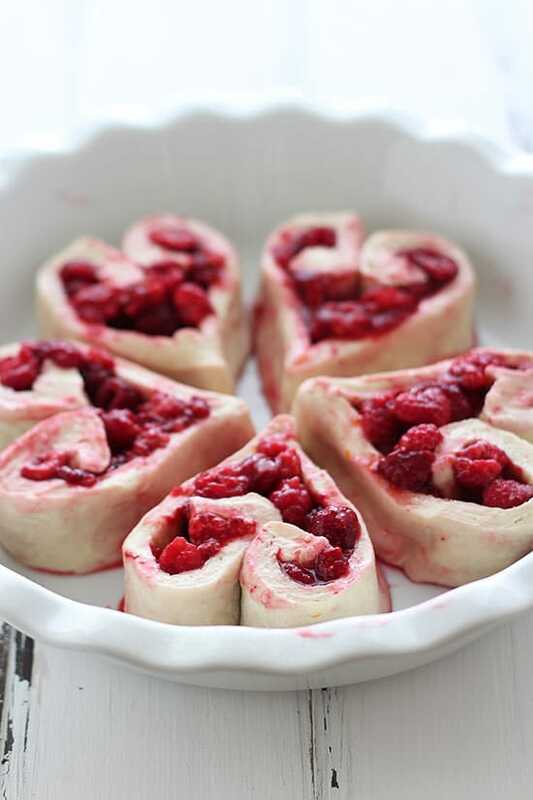 The full Heart Shaped Raspberry Rolls recipe can be found on Imperial Sugar’s website! They’re TOO CUTE! And that nutalla drizzle? Aaaand they take just one hour?! These are adorable! The Nutella puts them out of this world!